Thank you for signing the Guest Book for Pastor Mary Elizabeth Wallace. This Guest Book will remain online permanently courtesy of TroyRecord.com. Please take a moment to sign the Guest Book for Pastor Mary Elizabeth Wallace. Its with great sadness to hear of your departure from this life. You are truly an angel and earned your wings. I going to remember sharing holiday cards with you and your family and Will continue this process, Thanksgiving and Christmas. Sleep on and take your rest. Your family awaiting your arrival in the Golden Gates. My prayers go out to you and your family at this time. Rev. Wallace was a strong woman of gospel. Those who are asleep will awaken on the day the Lord comes for us all. 'Praise the Lord, Saints'. To Rev. Constance Knight & Family, May our Holy Father surround you with his light of compassion, healing and always LOVE. It was a treasure and pleasure to know Rev. Mary Wallace from my childhood until the Almighty called her home to glory. I will forever keep all of my most precious memories of her within my spirit and heart, I knew when I talked with her things would always be alright. To know her was to LOVE her. 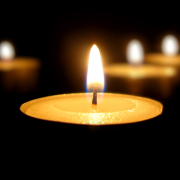 My family and I send our deepest, heartfelt condolences at this somber time of bereavement. As the days progress and you are in the word the pain will east a little at a time. I will continue to pray the prayers of compassion & strength for you and all of your loved ones. Rest In Heavenly Peace Rev. Wallace. Send me a daily email when updates are made to the obituary or Condolence page for Pastor Mary Elizabeth Wallace.